He studied industrial design in the school of Artes y Oficios in Barcelona. In 1988 started work for VAPOR S.A manufacturing minimalist lamps. From 1992 collaborated with a variety of firms to create new product lines: Roca, Resol, Marset, Mobles 114, Perobell, Santa&Cole, DAE, Vilagrasa, Made Design. From 1996 collaborated closely with the company Marset Iluminación, developing new products, and product direction for the company. His work has been selected on a variety of occasions for the awards at FAD. 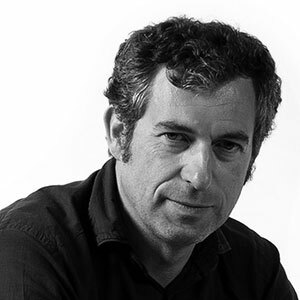 In 1995 received first prize in the Furniture Competition of the Comunidad Castilla la mancha, and in 2000 wins the first prize at the Valencia International Furniture Fair. In 2001 was awarded with the Delta de Plata for the Atlas range of lamps, and in 2005 for the Neón de Luz, both designed for Marset Iluminación. Since 1998 Joan has given classes in Materials and technology applied to industrial design, at Elisava School of design in Barcelona. In 2002 opened a professional design Studio in Barcelona working with various companies on new product concepts.